Good morning, peeps. We’re enjoying our time in Jamaica. Please enjoy this guest post from Elroy McGregor who blogs at Moi and Money. First and foremost, let me say that no one saves money by pursuing credit card rewards. You can save a lot more money by skipping the travel altogether and staying at home. The personal finance world is quickly picking up on the travel hacking game. I personally believe many go about it in the wrong way, but that is just me. I don’t want to save a couple hundred bucks or even a couple thousand, I want to save tens of thousands. Ok, so I cheat a bit as I usually book airline tickets that would cost $10k+ if you paid for them, which I would not normally do if I was paying cash. And I don’t want to apply for a card which just pays a one time bonus, I want a credit card which will allow me to continually earn points. Regardless of how weird you want to get (you can read how our weirdness got us a 3 week trip to SE Asia for $2500 all-in), there are plenty of ways to boost the number of points you bring in each month. Some them are easier than others. Some of them cost a little bit of money. Some people have ethical lines, and some of what is suggested below may cross your line. Please move on with your life instead of making a huge fuss. If you hop on Flyertalk you often see “The Jungle” referenced in many of its forum posts. This is Flyertalkers’ covert way of talking about the best deal out there right now to ‘manufacture’ spend. By ‘manufacture’ I mean spending money on a credit card and getting all of or most of your money back in cash. The best manufacturing of spend (which is now dead) was the Mint. The Jungle is a popular online retailer, named after a South American Jungle, which has a program to send and receive money. You, your spouse and family you trust sign up and you are all set to go. You can each send and receive up to $1000 each month without any fees. So, I send $1000 to my father using a credit card, who then does an ACH transaction to his bank account. He then sends my wife $1000 on his credit card, and we send the money to our bank account. My father really isn’t into it and just let’s me go into his bank account and move money around. So, I have $4000/month I move and I get every penny back. My sister and brother-in-law just move $2000/month between the two of them. If you’re shopping online and not using a mileage mall – shame on you. All you do is hop over to a site like EV Reward (my personal favorite), type in where you are shopping, pick your program and then click. Make your order like normal and you earn extra points on top of what you earn on your credit card. You can usually mix and match here as well – so you can earn American Airline miles using a Southwest credit card. My favorite is to use my Chase Sapphire Preferred to buy my airline tickets through Travelocity. I earn 4.28 pts/$ just buying airline tickets. Since I mainly fly United, compare that to using the United Mileage Plus Explorer card. I would earn 2 miles/$. Since Chase Sapphire Preferred earns Ultimate Reward points (which can be transferred instantaneously to United 1:1), I get 4.28 pts/$ opposed to just 2. Having a card that earns a bonus when spent at certain retailers can be very beneficial. Two of my favorites are the Amex Business Gold, which earns 2 pts/$ at Grocery Stores, and the Ink Bold, which earns 5 pts/$ at office supply stores. Both grocery stores and office supply stores sell gift cards. If we’re going to eat at Applebee’s, one of us jumps out of the car and runs into the store to buy a gift card. We are always conservative, so we make sure we stay under what we are confident our bill will be. This ensures we don’t have to manage a bunch of gift cards and lose money. If we’re going out, we buy a $20 gift card. We almost always spend more than $20. Say we spend $30 [….] we would earn 30 pts if we just put it on a credit card. If we buy a $20 gift card at 5 pts/$ [….] we get 110 pts. Doing this really starts to add up. Where you start spending some money is when you get into the pre-paid AMEX or Visa gift cards. These have a fee, usually $5.95. But, if you get 5pts/$, it may be worth it. So, you buy a $200 gift card for $205.95. You get 1,030 pts and spend $5.95 [….] you can run your gift card through the Jungle or you can use it for every day spend [….] that’s 173 pts/$ spent. Now compare that Southwest’s fixed point value of 70 pts/$. You always come out ahead that way. Sometimes you may have been better off using the points elsewhere and paying cash. You just need to do the math. Every once in a while, they’ll discount the cards so you are actually making money. One final point is purchasing gift cards at the grocery store when they run deals for fuel points. Often the grocery store will give you 5 fuel pts/$ spent on gift cards. That’s when we shift our focus over to using our Amex Business Gold (2 pts/$ spent at grocery stores) and stock up on fuel points. It certainly is a nice double dip. In a normal month, I buy $4000 of prepaid Visa or AMEX gift cards at an office supply store. That’s over 20,000 pts right there. Sure, I pay some money, but I get great value out of it. I also spend about $1,000 each month on airline tickets for work (which are reimbursed). That’s another 4,000 pts. at least. Combine that with every day spend and grabbing gift cards when we can, and we easily earn about 1,000 pts/day in any given month! How do you maximize your points/miles earned per dollar? Any other tips for rewards beginners? 1000 points per day! Wow, that’s astounding. I am going to have to check out the Jungle, I am not familiar with that. I see that you said you use the Amex Business Gold at the grocery store- are you able to count groceries as a business expense? We just took or first fully funded trip thanks to rewards last month and really looking to step up our game so we can maximize the amount of points we get. I finally converted my wife, so these are some great tips to start taking a serious look at. Well it sounds like you’ve been doing this longer than me, but I think the most important thing to do is to just get started. I personally just started and won’t be taking my first vacation using those rewards for at least a few months. I had read about it for years, though, before getting started. I’m glad I’m finally earning some rewards for relatively little ‘work’ – if you can call it that. This is something I would be interested in starting. I would have to caution myself to start slowly as I could easily see myself overspending when I get caught up in seeing the points add up each month. Great article Elroy — I really enjoyed reading it! When you take your $4,000/month of ‘pre-paid AMEX or Visa gift cards’ purchased with the 5x Ink bonus, how do you best liquidate them? Is this through the aforementioned ‘Jungle’ limit of passing $1,000/month back and forth? Or another way altogether? As you know I’m into travel hacking pretty significantly, and I’m becoming more aware of how valuable this ongoing spend really can be, so I appreciate any help you can pass along! Interesting strategies out there. Thanks for sharing. Great tips on how to do this! I would only do this if I had the discipline to pay them off each month and didn’t overspend just to get the rewards. From personal experience it’s easy to rationalize spending when you think there is a reward on the other end. I’m just happy to keep on getting my 2% on everything from Fidelity American Express. Nice! I really need to step up my game. The Jungle thing sounds interesting…is it JunglePay? I couldn’t find the URL. Great tips for the more advanced. It’s perfectly legal (ish), just not my style. And as for the gift cards, I am too cheap to spend ANY money, so I don’t go for the fees. But if I really need some UR pts, you bet your bottom airline mile that I’ll be at Office Max stocking up! Wow, that is creative! I don’t know if we could do things like this when it comes to travel cards because I’m Canadian. The cards/rules are very different here. Thanks for all of the great tips, you are great at the travel hacking game 🙂 We just recently got a rewards credit card so we are still in the learning stages of how to most efficiently boost rewards… thanks for the helpful post! Interesting. I’m surprised credit card companies haven’t caught on to some of these tricks though! Great post. I have just started to learn more about this process. I just got approved for both the Barclays Arrival and the UNited Miles Plus Explorer card. I was thinking of using the vanilla reloads route via my blue bird account to pay my $3800 of months bills/mortgage/etc. I planned on doing this just to get to the minimums to get the bonus. Would it be worth doing this every month given the fees of the vanilla reloads? Are there any other cards anyone would suggest for hotel stays? Thanks for any help. I have never tried the vanilla reload strategy but it’s something I’m currently looking into. I have a few well chosen credit cards that I use. It simplifies my life and earns a few extra points. But I can see the allure of point maximization! That’s a huge amount of miles! 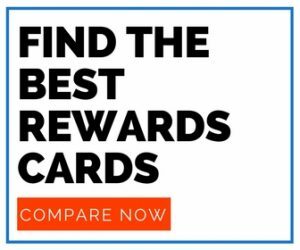 Do you find you’re able to spend the $4k of gift cards on normal spending, or do you have a trick for using those in other ways? I used to do a lot of traveling for business. The company paid for the airfare, hotel, rental cars, meals, parking etc. All the expenses were charged to my personal rewards card. Now that my kids are in college I try to use the card for those expenses as well. Gift cards seem like an awesome way to rack up the points without wasting any money. Considering you can buy pretty much anything on Amazon, I think it’s always a safe bet to go that route. Great tips. I’m just getting into travel hacking (due to my good friends Holly and Greg talking about it nonstop…. ), so this is timely. I’m surprised that the CC companies don’t monitor this stuff…unless it benefits them as well? Thanks for an interesting read Elroy and all the best. I tried to do a search for the jungle but couldn’t find it. Do you have a link by any chance? For those willing to spend the time and effort to employ the above mentioned “strategies”, it’s a great way to accumulate points. For me, I don’t want to be bothered w/ juggling various credit cards for this and that purchase, running into Appleby’s for a gift card, etc… I have too many things going on. I just use the UAL Mileage Plus card which gives me 1.5 pts for every dollar spent. I use it for everything (personal and business) and average $15-20k… so the bonus results in over 100k points each year. That bonus is good enough to get me into First Class for at least 4 flights each year (i.e. the additional miles needed to get from Economy to First). The flights I take are always lengthy flights (min 10 hours) so, the $450 annual fee is getting me well over $15k worth of benefits. So, for me, the $450 fee (which also gets me lounge access, preferred boarding access) is well worth it given the ability to get First Class seats AND not juggling cards. Sounds like a great plan to me, Bill! I agree with your opinion.your article is excellent. I have been examinating out some of your stories. I look forward your next article. Its a great post.